As fighting between supporters of President Salva Kiir and sacked deputy Riek Machar continue, we ask what the future holds for the world’s youngest country. 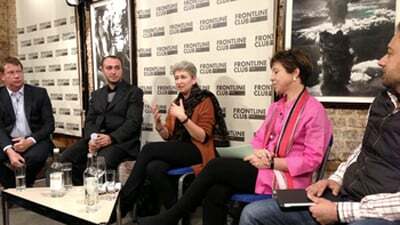 Chaired by Lindsey Hilsum, international editor at Channel 4 News and author of Sandstorm; Libya in the Time of Revolution. Heather Pagano joined Medecins Sans Frontieres/Doctors Without Borders (MSF) in 2008 and is currently the Regional Information Officer for East and Central Africa, based in Nairobi, Kenya. She has a special interest in South Sudan and recently returned from Juba. James Copnall was the BBC correspondent for Sudan and South Sudan from 2009-12.. He is author of A Poisonous Thorn in Our Hearts: Sudan and South Sudan’s Bitter and Incomplete Divorce which will be published in March 2014. He has just returned from Juba. Mukesh Kapila, CBE is professor of Global Health and Humanitarian Affairs at the University of Manchester. Previously he was Under Secretary General at the International Federation of Red Cross and Red Crescent Societies and the UN Resident and Humanitarian Coordinator for Sudan. Thomas Mawan Muortat, is a South Sudan political analyst, with an interest in development, democracy and peace issues. 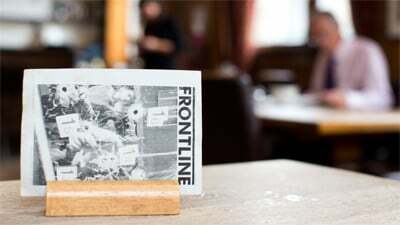 He has lived in the UK since 1984, and has travelled back and forth to South Sudan since 2008.